Should Your Aviation Engineer Also Be Your Packaging Engineer? Rocket scientist. Brain surgeon. We’ve all heard and used these jobs as examples of “genius” positions. Add aviation engineer to the mix. Aviation engineers have to know their stuff because very often, lives literally depend on the outcome. Planes have to meet rigorous safety and quality standards, which means the parts in those planes also must be carefully vetted. 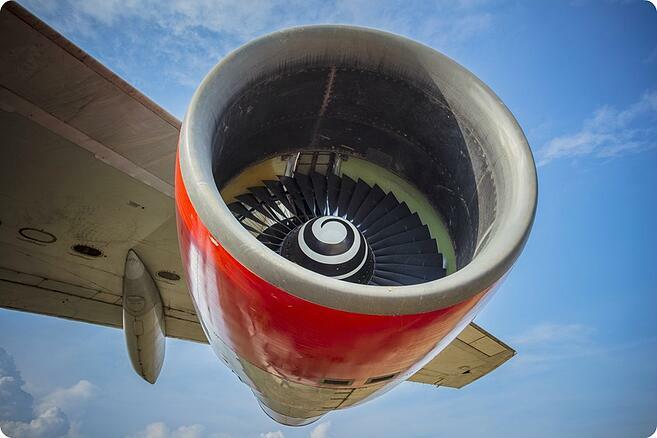 It’s up to aviation engineers to design those parts to meet rigid specifications. Just because aviation engineers are knowledgeable, smart, and educated, though, doesn’t mean they should always design every part of the production and distribution process. In many lines of manufacturing, deep knowledge and experience in one area doesn’t translate to other functions. Aviation manufacturing is no exception. Consider what happens in the healthcare industry. Have you had a major surgery recently? If so, your procedure was probably performed by a talented, skilled, and experienced doctor. He or she likely understands that type of surgery and that part of the body in microscopic detail. Yet, after the procedure, it probably wasn’t the surgeon who managed your recovery. They may have checked in, but your post-op care was likely handled by a combination of physical therapists, nurses, or even a doctor who specializes in pain and recovery. Why the handoff from surgeon to other specialists? First, the surgeon’s time is better spent performing surgeries, not managing physical therapy or some other recovery. But more importantly, the surgeon is the expert in his or her field, not in all things medicine. While he or she may have recovery suggestions, there are others better suited to manage the process. Your aviation engineer hands off the process to the packaging partner so he or she can get back to more important tasks. The same line of thinking applies to manufacturing, and especially to the aviation industry. Your aviation engineers are paid a premium to design high-quality parts. Their time is best spent doing that, not designing crates or managing the packaging process. Yet, far too often, manufacturers put packaging design in the hands of the product engineer. It’s not that they’re not capable of doing the job. It’s that packaging isn’t their primary focus. It would be easy for them to miss a key risk or fail to seize on an efficiency opportunity. That’s where a packaging partner can be of great service to an aviation manufacturer. Think of your aviation engineers as the talented and highly-skilled individuals who need to complete the core procedure: designing and building the actual part. Your packaging partner is the post-op care provider. They take that part and package and distribute it in a way that maximizes efficiency, minimizes costs, and ensures quality. Your aviation engineer hands off the process to the packaging partner so he or she can get back to more important tasks. Are you an aviation parts manufacturer who handles packaging in-house? If so, you may want to explore other options. Below are a few questions to ask yourself about your packaging and distribution process to determine whether you’re missing out on opportunities. Do you use rotables or other types of efficient packaging to minimize material and labor costs? 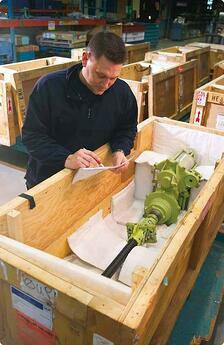 The wooden crate is the default packaging standard in most manufacturing sectors, including aviation. For many companies, a wooden crate is a reliable and dependable option. However, that doesn’t mean it’s the best option for you and your product. Whether you use a wooden crate or some other type of packaging, it’s possible that an alternative could reduce material and labor costs. For example, you may benefit from rotable packaging. A rotable package is one that can be used over and over again. They’re often made from plastic, metal, or some other durable material. Your vendor packages their parts and then delivers to you. Your team unpacks the container and then sends the rotable packaging to the vendor for reuse. The benefit of rotable packaging is that it reduces the need for packaging materials and it minimizes labor input into building packaging. 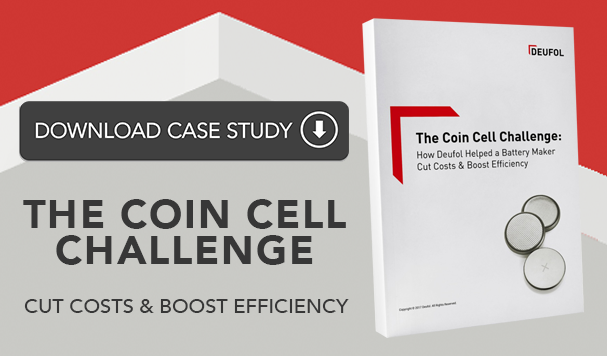 The vendor should pass those cost savings onto you, boosting your margins. Rotable packaging is just one example of how an aviation packaging consultant can help you improve your process. They can have their engineers analyze your needs and objectives, and then redesign the package to drive down labor and material costs. You may be using the best packaging for your business. However, if your process hasn’t been analyzed by a packaging engineer, there’s really no way to know with certainty. Do you rely on excessive dunnage to ensure quality? Anyone who has spent any time in a manufacturing facility is familiar with dunnage. Foam peanuts, shredded paper, bags of compressed air — they’re all used to fill the empty space in a crate and protect product quality. The problem with dunnage is that it costs money and it consumes labor time. You have to buy the giant bags of foam peanuts. You have to store the dunnage somewhere in your facility, which occupies valuable space. And of course your team members have to spend their time filling crates with the dunnage. There are alternatives. A packaging partner may be able to redesign your package in a way that minimizes quality risk and also minimizes the need for dunnage. You can eliminate the spending on foam peanuts, retake control of your warehouse space, and make your packaging team more efficient. Are you exposed to any catastrophic quality risk? Aviation engineers know all about risk management. Risk plays a central role in aviation product design and aviation manufacturing. It’s also an important element in package design. You’re likely aware of the most probable types of damage. The crate may move too much in transit and cause damage. Water or other natural elements could seep into the package. These kinds of risks are easy to imagine. While your aviation engineers are probably very capable of designing your packaging, it doesn’t mean they’re best-suited for the job. However, have you planned and designed your packaging for less probable but more catastrophic risks? What would happen if your package were inspected in customs and repacked improperly? What if your package will go through a third-party distribution center before arriving at the customer’s facility and it isn’t handled in a safe way? What if the package is somehow delayed for an extended period and is stored in an area with moisture or temperature exposure? Packaging engineers can evaluate all risks, assign probabilities, and estimate projected losses. They can then design packages and processes that eliminate the most costly and threatening risks. Again, without that kind of analysis, it may be difficult to know whether you’re exposed to excessive risk. Have you fully integrated technology to reduce the need for costly labor? Technology is rapidly changing manufacturing in all sectors. Packaging is no exception. There was a time when you had only two packaging production options available: automated and manual. An automated process reduces labor costs, but often requires a large capital investment. A manual process doesn’t have much upfront investment, but it increases costs and suppresses margins. Today, though, you can build a packaging production process that blends the best of both worlds. You can use packaging engineering software to design a container that is built both by machines and with hands-on labor. You can then feed that design straight into your semi-automated process. Some packaging companies, including Deufol, will even custom-build the machines needed for your goals. Other types of technology, like GPS, photo documentation, and even integrated barcode scanning can give you full transparency into your packaging and distribution process. That means no more labor time spent tracking down packages or calling carriers for status updates. All that information is readily available with a few clicks of your mouse. Your aviation engineers are talented when it comes to designing parts for planes. And while they’re probably very capable of designing your packaging, it doesn’t mean they’re best-suited for the job. Consider consulting with a packaging engineer to explore gaps in your process and identify areas for improvement.